Disability Access Title II of the Americans with Disabilities Act (ADA) applies to the services, programs and activities of state and local governments. The NC Judicial Branch is committed to ensuring that people with disabilities can take part fully and fairly in judicial activities, programs, and services. 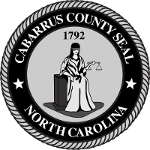 Accommodation Requests: If you are an person with a disability who needs a reasonable accommodation, contact the office of the Clerk of Superior Court 704-262-5500.